My foray with trying new recipes and food continues, for myself, family and friends. It’s not always perfect, but always delicious and from the heart. 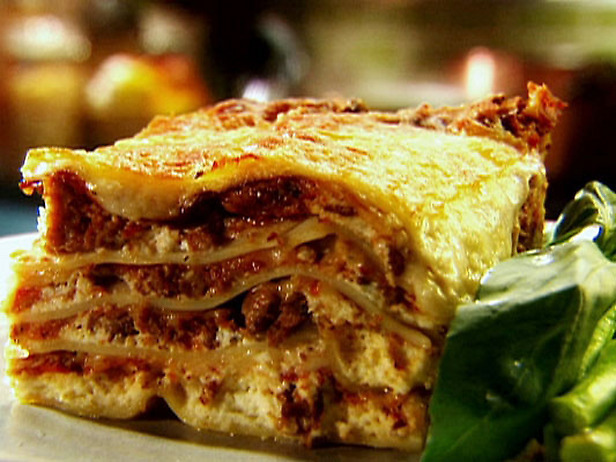 This is one fabulous lasagna, one that we all love, especially my children who are always first in the queue when I make lasagna. They ♥ it!! (and I miss them so much) The white sauce is unexpected, but simple and delicious. In a medium-sized bowl, thoroughly mix the ricotta and eggs. Season with salt and pepper. Set aside. Into the bottom of a 13 by 9-inch baking dish, spread 1/3 of the bechamel sauce. Arrange the pasta sheets side by side, covering the bottom of the baking dish. Evenly spread a layer of all the ricotta mixture and then a layer of all the spinach. Arrange another layer of pasta sheets and spread all the ground beef on top. Sprinkle 1/2 the mozzarella cheese on top of the beef. Spread another 1/3 of the bechamel sauce. 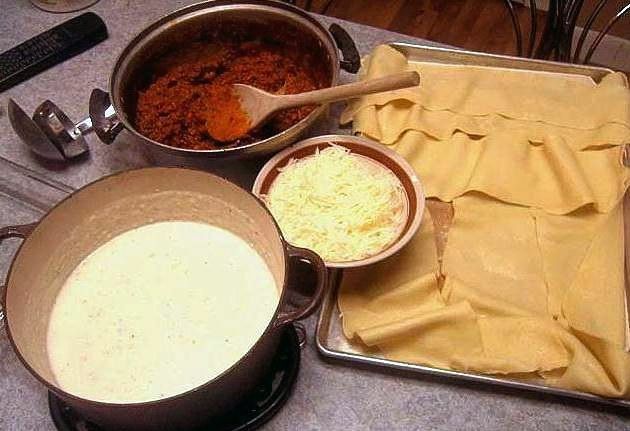 Arrange the final layer of pasta sheets and top with remaining bechamel, mozzarella and Parmesan cheeses. Cut the remaining 2 tablespoons of butter into 1/4-inch cubes and top lasagna. 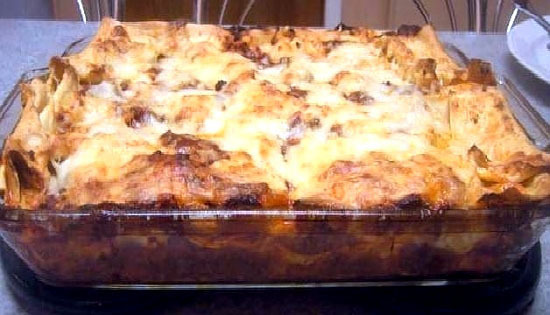 This entry was posted on June 14, 2010 at 7:37 am and is filed under Cooking, Random, Recipe with tags bechamel sauce, delicious, Lasagna, mozzarella, parmesan. You can follow any responses to this entry through the RSS 2.0 feed. You can leave a response, or trackback from your own site.